Visited Balboa Park recently and met some interesting artists. 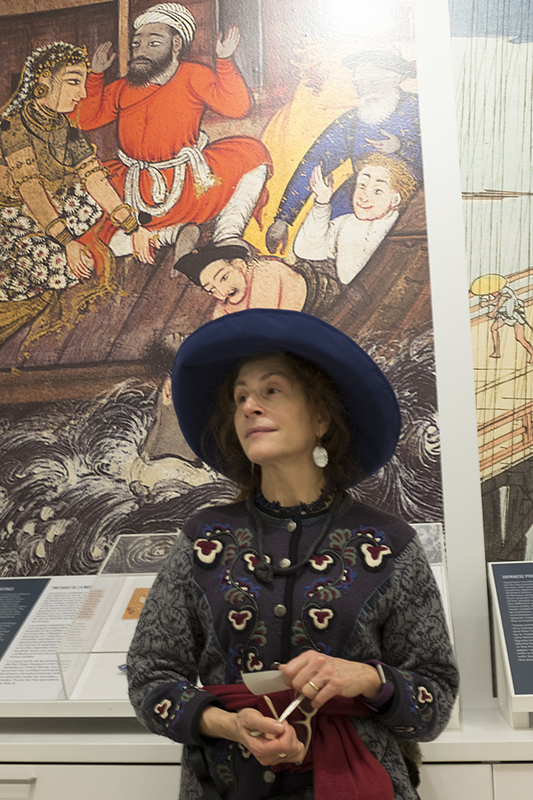 Met Marjorie at the San Diego Art Museum. She is a concert pianist and piano teacher from Portland, Oregon. She appeared to me to have walked out of one of Monet’s impressionist paintings in the Museum. I asked her if I could take her picture. 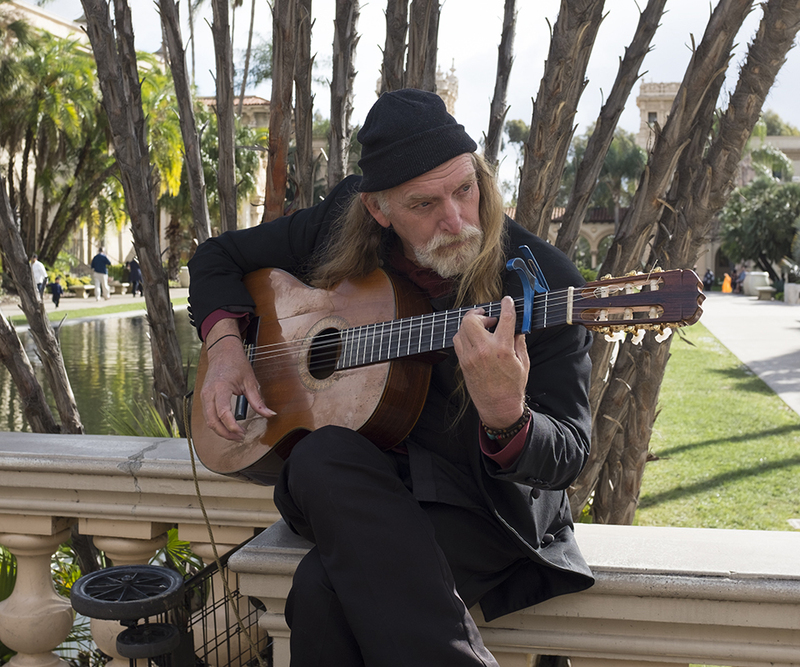 Listened to Chet play guitar outside the Botanical Garden. Nice sound. 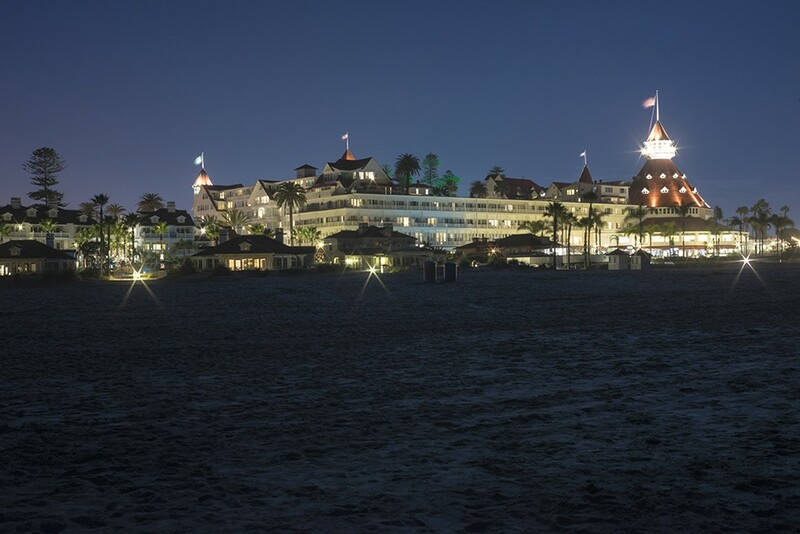 Hotel Del Coronado is a grand Victorian style hotel located on the beach facing the Pacific Ocean. The hotel is on Coronado Island across San Diego Bay from downtown from San Diego. The hills of Tijuana Mexico can be seen from the hotel.